Yad Vashem and the Netherlands signed an agreement whereby Dutch government will support digitization of files regarding Righteous Gentiles. 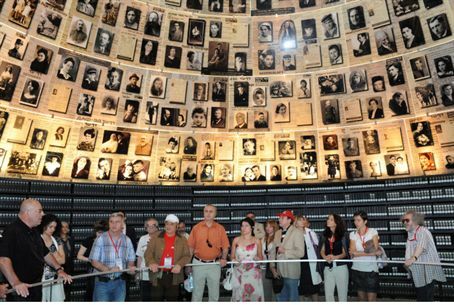 The Yad Vashem Holocaust Memorial Museum in Jerusalem together with the Netherlands signed an agreement on Monday whereby the Dutch government will support the digitization of the files concerning the Dutch Righteous Among the Nations. “Providing easier access for researchers, filmmakers, students and anyone else interested in learning about these extraordinary men and women, the digitization process is a key aspect in commemorating the choices these individuals made not to be bystanders,” said Yad Vashem Chairman Avner Shalev. Over the past five decades, the Commission for the Designation of the Righteous has recognized over 24,000 men and women who risked their own lives to rescue Jews during the Holocaust. To date, 5,204 rescuers from the Netherlands have been recognized as Righteous Among the Nations. The database of Dutch Righteous Among the Nations is now available online at the Yad Vashem website, along with the database of Righteous from the Baltics and the former Soviet Union. During the preparation of the project, Yad Vashem researchers discovered the last known letter of resistance fighter Hein Sietsma, who, along with his fiancee, Berendina (Diet) Eman, helped save dozens of Jews in The Hague before being caught on separate occasions and sent to the Dachau death camp, where they were murdered by the Nazis. Siesma and Eman were recognized as Righteous among the Nations many years ago but their file contained a small envelope, which had not been opened. Folded into a one-centimeter package, Siesma managed to send to his fiancee a letter that poignantly stated: "Even if we never meet each other again on this earth, we will never be sorry for what we did. We will never regret that we took this stand, and know, Diet, that of every human being in the world, I loved you the most."